The Maruti Swift is one of the most popular hatchbacks in the country’s highest-selling carmaker’s model lineup. The current generation, which went on sale in February 2019, is the best selling model in its category by a huge margin. The Swift even managed to become the fastest Indian car to achieve the one lakh sales target. Both petrol and diesel models of the Maruti Swift are in great demand. And now the manufacturer seems to be preparing a sports version. It will be called the Maruti Swift Rs and will share its 1.0-litre turbocharged petrol engine with the Maruti Baleno RS. While the 1.2-litre petrol and 1.3-litre diesel engine offer an AMT, the sportier Swift will be on sale with a 5-speed manual gearbox only. 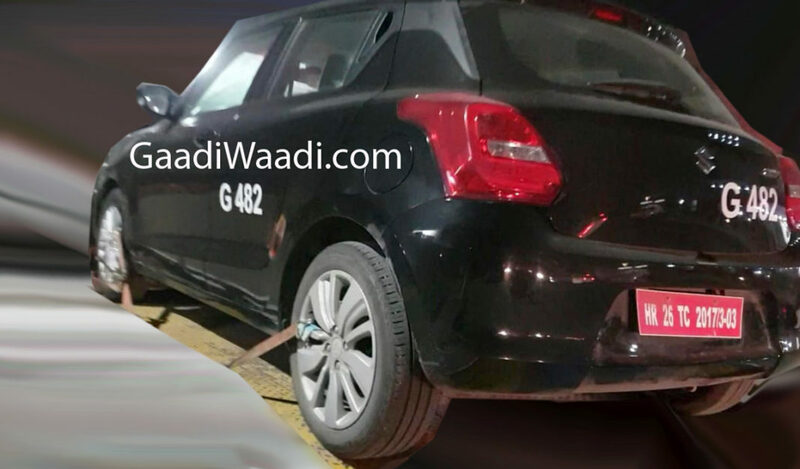 Maruti Suzuki is already testing the Boosterjet engine on the Swift. The black car you see in the pictures is running on the more powerful engine. 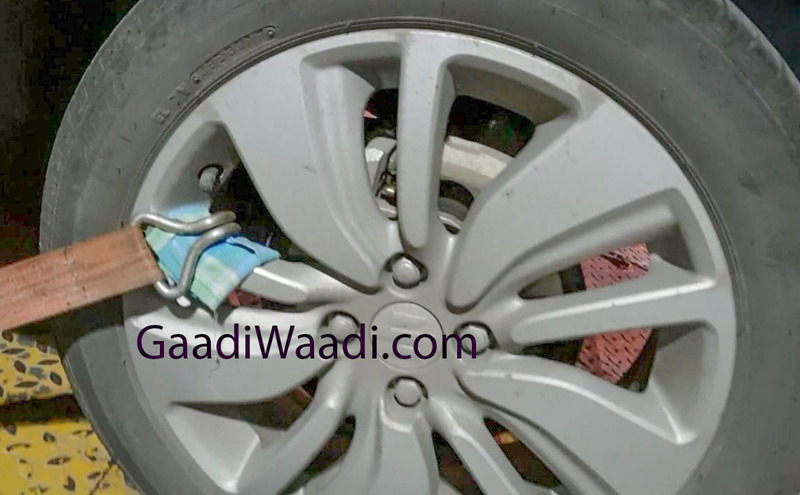 It gets 16-inch alloy wheels and disc brakes on all four wheels. The 1.0-litre, three-cylinder, DOHC, direct-injected, turbocharged petrol engine is expected to be in the same state of tune as the Baleno RS. The Maruti Swift RS will be a competitor of the Tata Tiago JTP. It will have a price tag of roughly Rs 8 lakh, which will make it cheaper than the Baleno RS and only slightly costlier than the sports version of the Tiago. This engine produces 101 bhp of maximum power at 5,500 rpm with 150 Nm of peak torque between 1,700 rpm to 4,500 rpm in Baleno RS however Swift RS engine could produce 105 PS. The 5-speed manual transmission sends power to the front wheels. On the Maruti Swift RS, this engine should return a mileage of 22 kmpl. 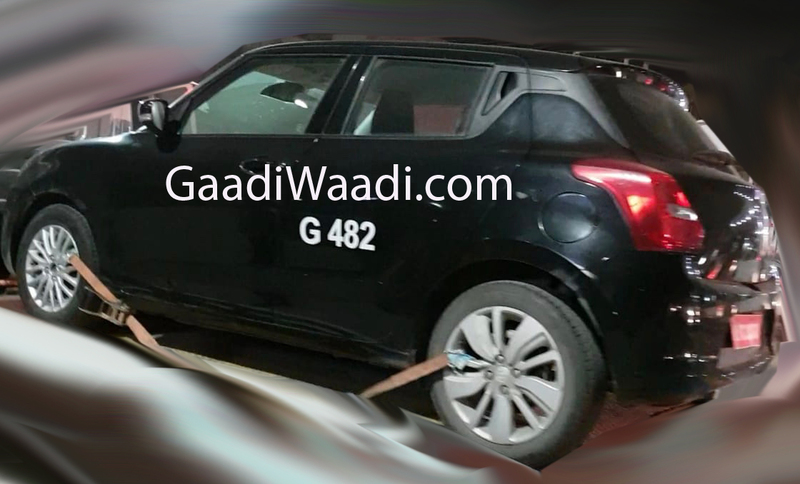 Visually, the Maruti Swift RS will look like a hotter version of the standard model. It will wear a sportier set of bumpers and side skirts. The bigger wheels will also give a bolder stance. The front grille will have red detailing similar to what you find on the Swift Sport. Rounding off the visual upgrades will be the RS badge and a rear roof spoiler.